As a critical care and palliative care physician at The Ottawa Hospital, Dr. Kwadwo Kyeremanteng cares for the sickest of the sick patients in the intensive care unit (ICU). As a researcher, he’s interested in using ICU resources more efficiently and improving access to palliative care in the ICU. To help do this, he founded the Resource Optimization Network, a multidisciplinary research group working to reduce health spending in this area without compromising care. A recent study led by Dr. Kyeremanteng, together with Dr. Peter Tanuseputro, suggests that direct transfer to the ICU from the emergency department could reduce the death rate and hospital costs for some people with serious infections. Further research could lead to better tools to help physicians make these kinds of decisions. 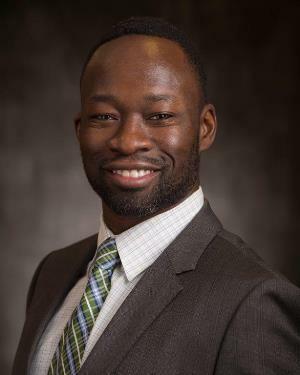 Dr. Kyeremanteng was recently appointed as an associate scientist in the Clinical Epidemiology Program at the Ottawa Hospital Research Institute. He is also a senior clinician investigator at the Institut du-savoir Montfort and an assistant professor at the University of Ottawa.